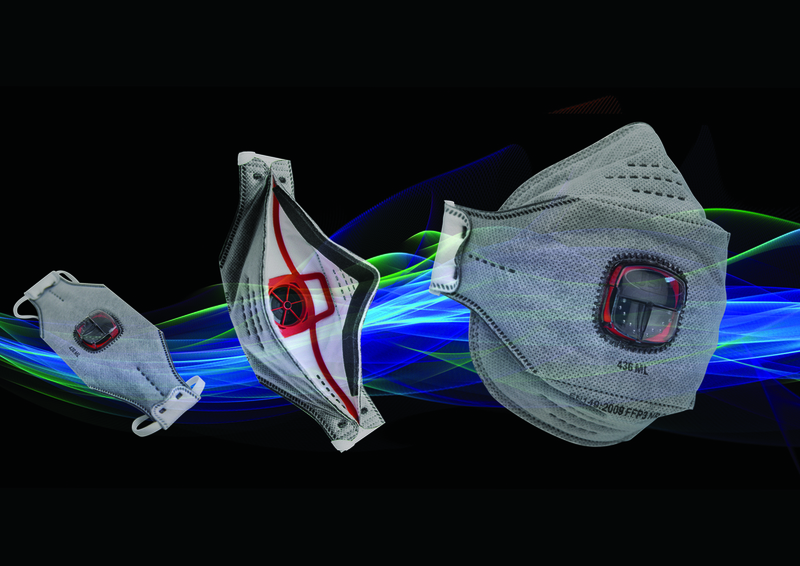 JSP HAS launched the new Springfit fold flat disposable mask with a unique endoskeleton structure which guarantees each mask keeps its shape, increasing performance and maintaining rigidity. This integrated spring feature allows facial movement ensuring the mask offers a secure face fit and seal during speech or movement of the jaw. The pioneering Typhoon valve has been designed to reduce breathing resistance, heat and moisture build-up. The valve is unaffected by any moisture, and therefore maintains high performance levels even at very low temperatures (-40°C tested). The new Springfit is extremely comfortable with adjustable straps so the mask can be fitted comfortably to all head sizes and shapes. The foam area around the inside of the mask ensures the mask is comfortable to wear and the welded nose piece gives the mask a tighter fit ensuring a good face fit. The low profile design of the SpringFit provides exceptional compatibility with other above the neck PPE, such as eyewear improving the wearer’s field of vision. It is designed to be compact, is easily pocketed and individually packed for hygiene reasons. The Springfit range conforms to EN149 and is available in FFP3 and FFP2 valved and unvalved, with a nuisance odour carbon layer available on the FFP3 valved model.